Eastern Canada is one of the cruise industry’s best-kept secrets but it is time word got out. In the 1800s Montréal provided an important sanctuary for sailing ships seeking respite from the fierce rapids on the mighty Saint Laurence River, and it quickly grew into an important transit hub. 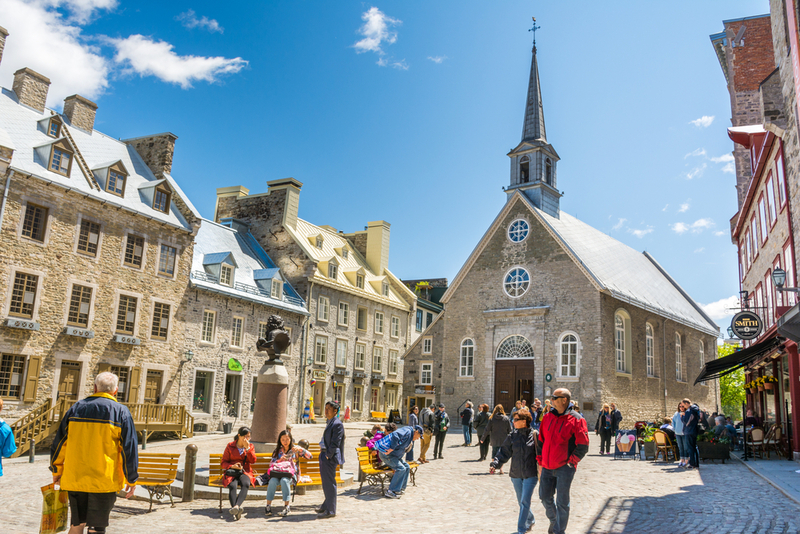 Today it, and neighbouring Québec City, harbour cruise ships during the Caribbean hurricane season, enabling cruise lines to conveniently offer autumnal Canada and New England itineraries while protecting their vital assets from ferocious storms. 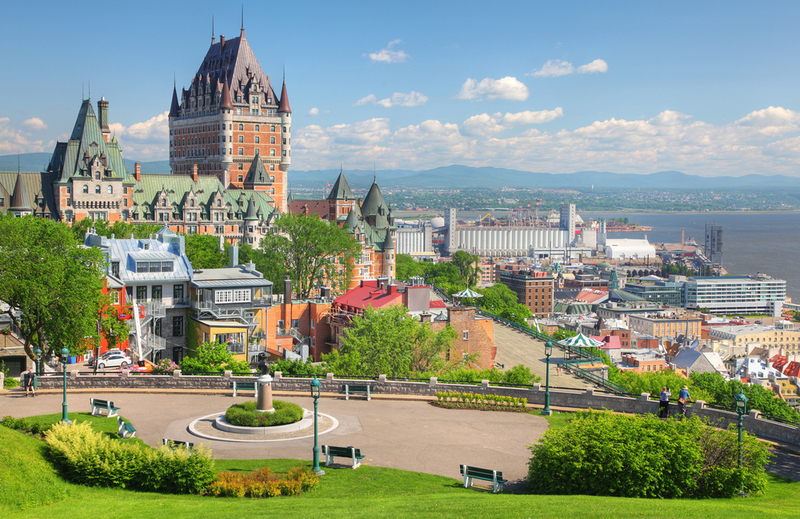 Both ports have expansion plans and are desperate for cruise lines to extend the time they spend in Quebec Province. and thriving gourmet restaurants, set beside a myriad of narrow, inclined streets. 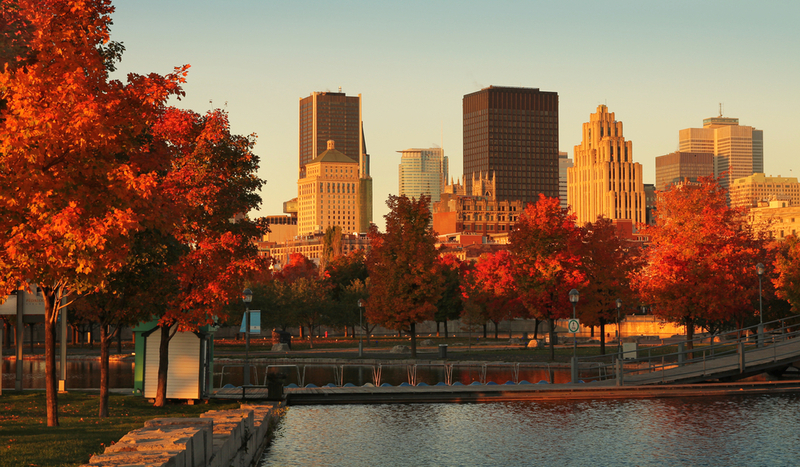 Montréal is a complete contrast and boasts a rich tapestry of modern history. Saint Laurent Boulevard cuts straight through the heart of the city and was where migrants first settled, forming Chinatown, Little Italy and a Jewish Quarter. The British resided to the west of the Boulevard, and the French to the east, with a quiet disdain for each another. Religion, predominantly Catholicism, was the backbone to society and fiercely battled against capitalism. Magnificent cathedral-like banks paved the way for soaring office blocks and Place D’Armes is a superb example with the 32-storey Banque Nationale skyscraper dwarfing the intricately decorated Notre-Dame Basilica. 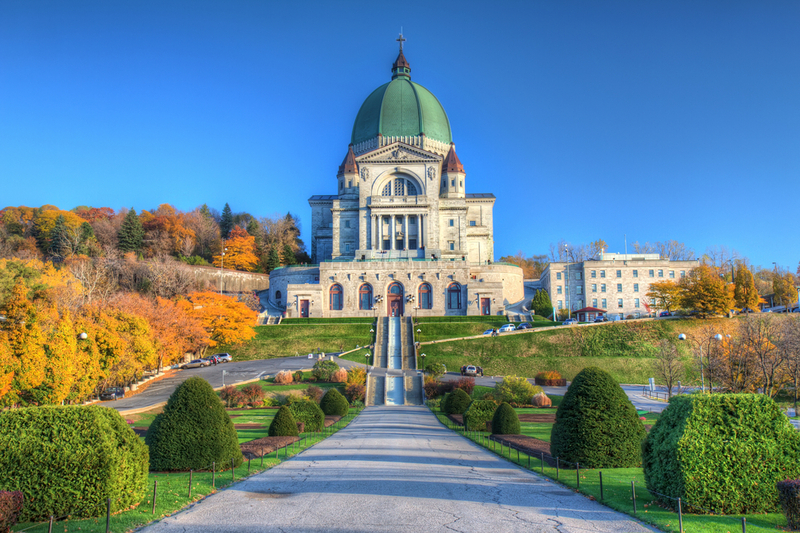 An exhausting hike up Mont Royal – or a drive for those perhaps with more sense – will reward the successful few with incredible views of the uniquely varied skyline and the Saint Laurence. of the Montréal Convention Centre is a beautiful example of this; the ‘lipstick forest’ installation inside is perhaps less so. 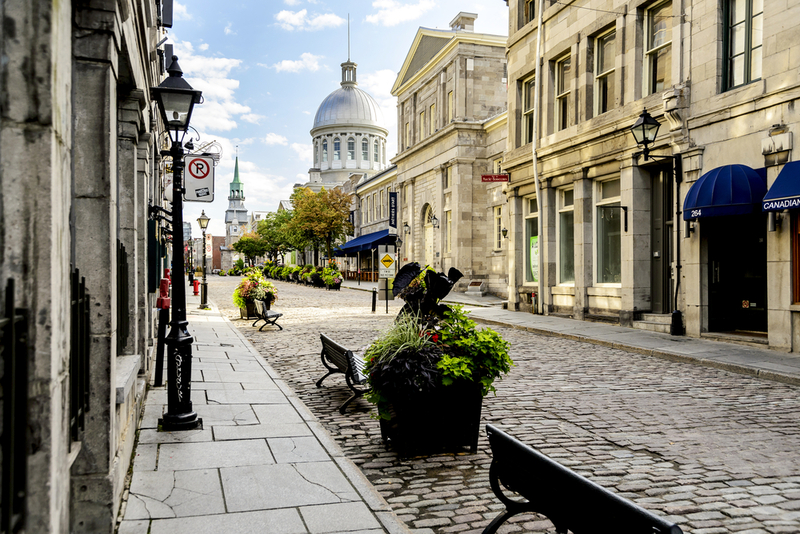 Old Montréal, home to the cruise port, looks much as it would have done when exhausted sailors ventured into this exciting new land. Characteristically more European than North American it is full of small boutiques interspersed with cosy bistros and upmarket restaurants that spill onto the streets by night. holder as the most photographed hotel in the world anda fine example of French architecture. Drink in the sumptuous views across the banks of Saint Lawrence from the wooden decks that border it. Quench your thirst at the many fashionable wine bars and cosy cafés in the city. Food tourism is on the rise and while national dishes may be few and far between, some, such as poutine (French fries topped with cheese curds and smothered in gravy), have garnered worldwide cult appeal. Both cities cater for all tastes and budgets, with exceptional French style cookery easily found and ethical, sustainable, and locally sourced menus on the rise. The Province also excels at producing a number of local delicacies; the most famous of all is maple syrup, a popular, authentic and practical souvenir protected by law. 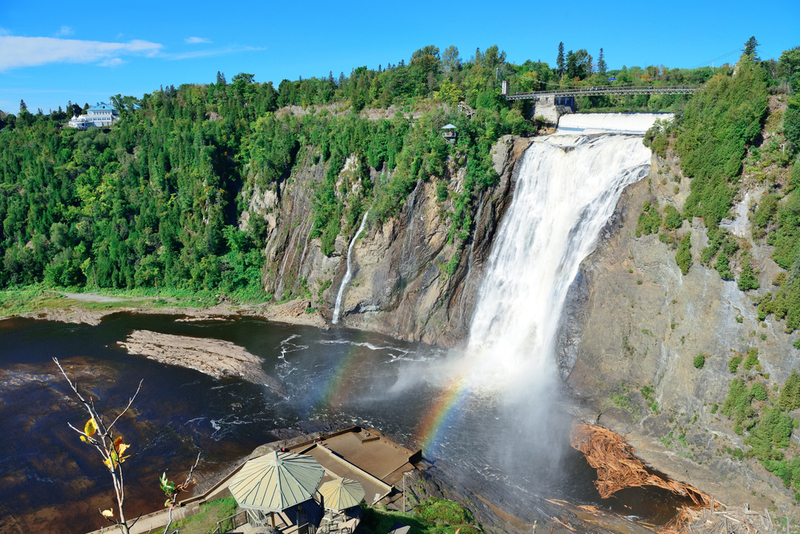 Québec City benefits from Île d’Orléans, colloquially known as ‘the garden island’, and is a favourite haunt for cruise excursions, along with the spectacular Montmorency Falls opposite the bridge to the island, thanks to its variety and abundance of artisanal produce. The harsh winter weather does not stop the locals as the enterprising Québécois use the annual snowfall between November and April to their advantage, producing Ice Cider, cidre de glace, and Ice Wine from frozen apples and grapes. While Montréal and Québec City both share similarities they offer wildly different experiences and a visit to each is a must. The former has taken on more North American culture while the latter feels intrinsically French. Despite the short cruise season the ships visit at a time when the weather is ideal, artisanal local produce is abundant and thebackdrop is a romantic blanket of golden and auburn leaves, slowly ticking down the time until winter visits once again.